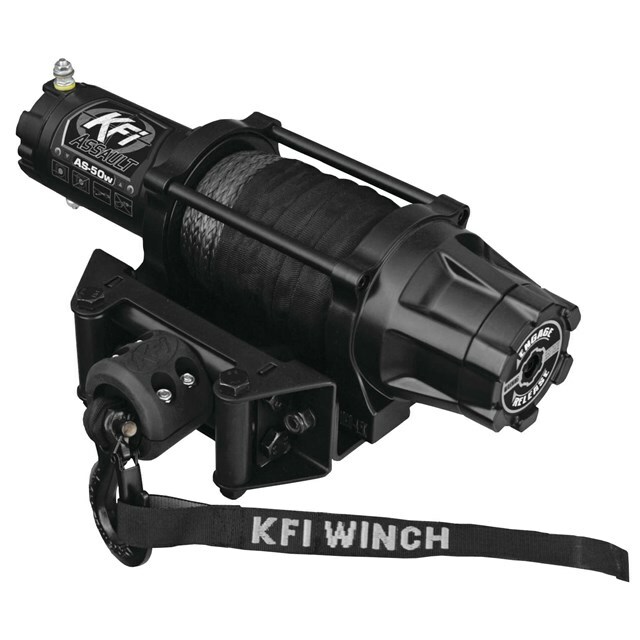 Each KFI Assault Winch Kit features blacked out, quality cast aluminum and durable, all steel gearing. Designed with a smaller profile to fit those UTVs that the 4,500 lbs. winch will not fit. 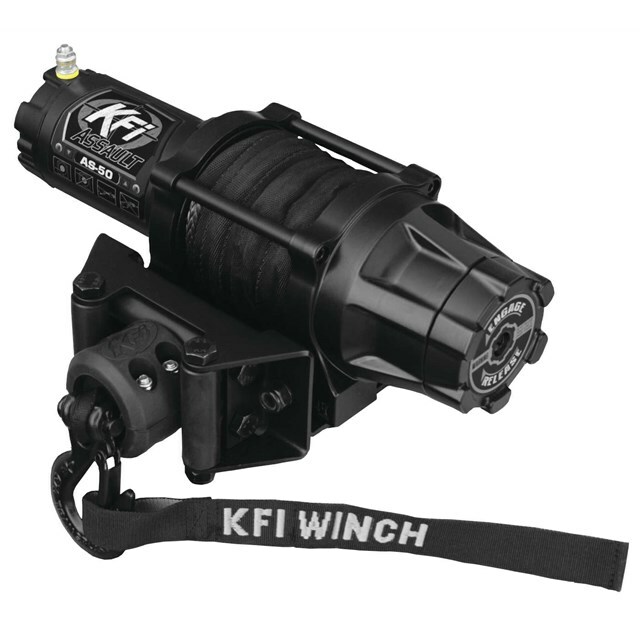 The kit comes with a full complement of accessories: smoke colored synthetic cable, cable hook stopper, premium black roller fairlead, fairlead bracket for mounting to trailers or other non-ATV applications, UTV dash-mounted rocker switch, 14 ft. corded hand-held remote, black-plated hardware to bolt your winch to the winch mount, a newly designed Assault heavy-duty electric contactor that protects the electrical system, all required wiring and detailed installation instructions. Rated line pull: 5,000 lbs. Synthetic cable: Standard: 15/64 in. x 38 ft.; Wide: 15/64 in. x 50 ft. Weight: Standard: 26 lbs. ; Wide: 27.8 lbs. Note: The smaller profile on the Standard Assault winch will work on most ATV KFI Winch Mounts but requires the ATV handlebar Rocker Switch P/N 573911.